* Zilmar's controller plugin spec #1.0. * use DirectInput8 for input driver. * support gamepad and keyboard as input devices. Last edited by shunyuan; 9th September 2013 at 02:50 PM. Very nice. I actually have a Rumblepad 2, so this might come in handy. If I were to suggest something, it would be two different buttons assignment for the same N64 controller button (for example, 2nd analog up and button 4 for C up). This would be useful considering the problematic layout of the N64 controller. No idea if it's possible though. Very easy to do; in fact N-Rage 2.x already applies this. On N-Rage,I can set any keyboard key to a macro setting that points to multiple controller buttons so that I can exit battles in smash bros. by setting this macro to A+B+Z+R. 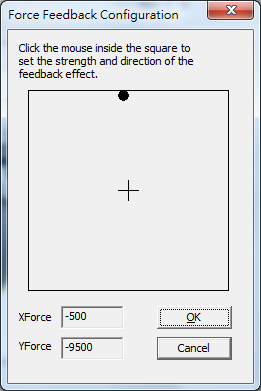 I am using my keyboard's "Y" as the macro activator. use rapid-fire which will help anyone beat Canary Mary. 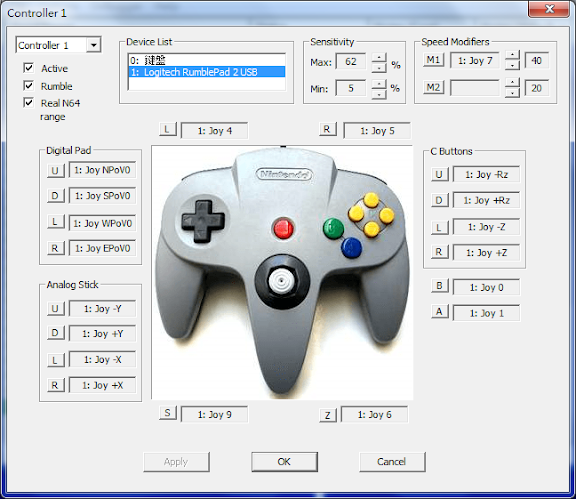 Yes, it is possible, one way is to allow each button has two input definitions, the other way is to add another macro button to bind to N64 input. Yes, it is a good idea. Last edited by shunyuan; 24th August 2013 at 08:11 AM.